Grand Lux Cafe fulfills any hunger. Choose from breakfast items, appetizers, pizza, seafood, steaks, burgers, chicken, specialty items, pasta, salads, sandwiches and over 20 fabulous desserts! The wine list is equally eclectic, including selections from all regions. Dine in or place a to-go order at our retail bakery featuring coffee drinks, pastries, cheesecakes and a variety of Grand Lux-themed merchandise. 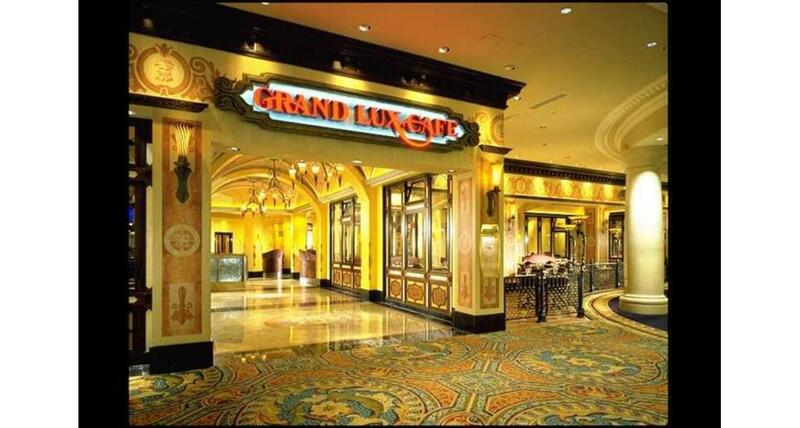 Although Grand Lux Cafe can accommodate up to 550 people, its design is both intricate and intimate. 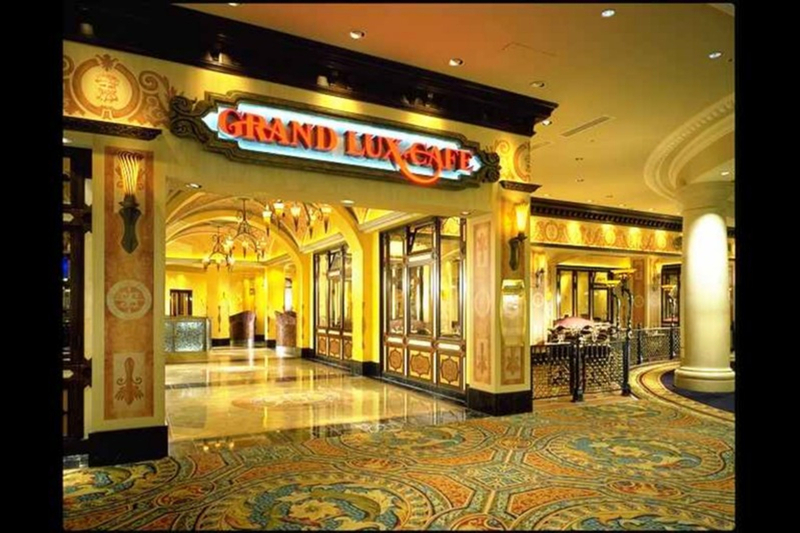 The architecture and decor of Grand Lux Cafe was inspired by the look and feel of classic Venetian cafes with up to 100 seats available for private dining.